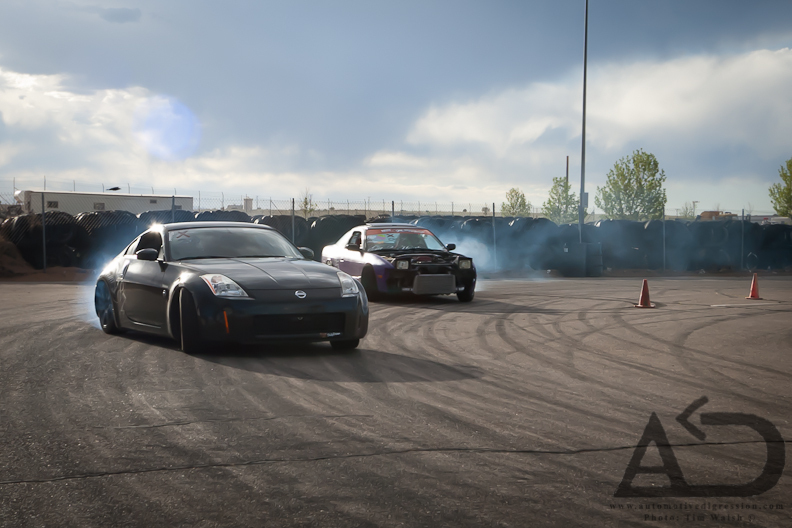 The nice thing about grassroots drifting is the familiarity between drivers, because more times than not they're connected socially outside of the track environment. 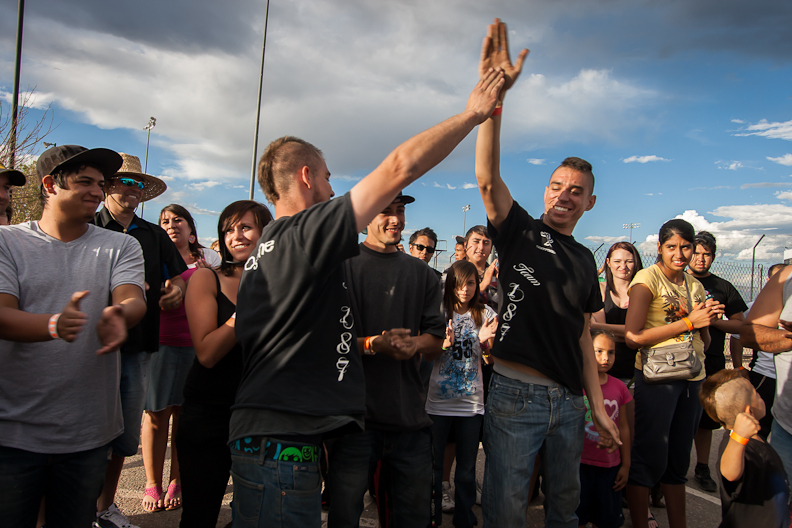 Round 1 of the Sandia/NAPA Speedway Drift Series was a group of familiar faces, friends, and supporters. 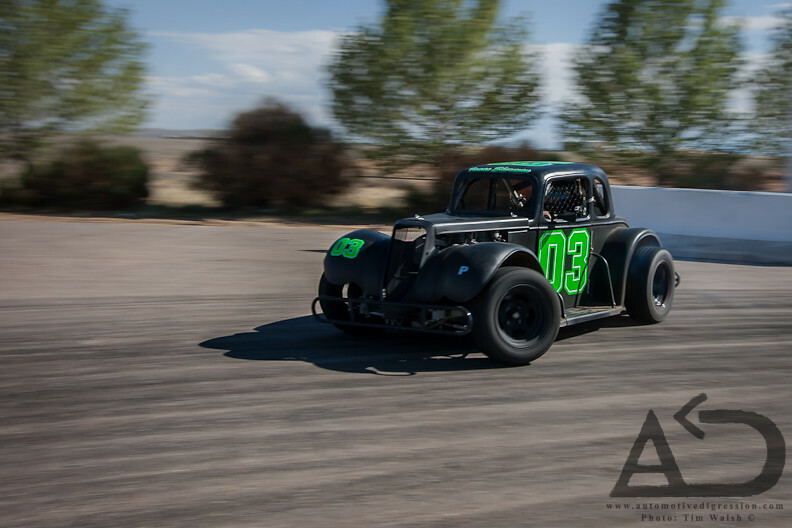 Many of the drivers came out to the monthly Sagebrush event two days earlier to hang out and slide around a bit. However, there were a few welcomed exceptions. 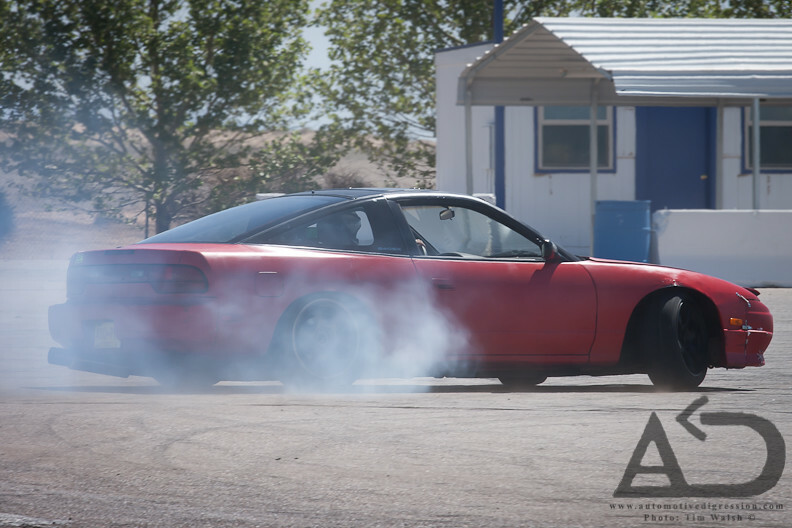 Isaac Sherman (03) and Robert Gayton (1) brought out their Legends cars to try their hands at competitive drifting. Mike Rempkowski's car hosts infectious hand gestures, as seen before at Sagebrush. 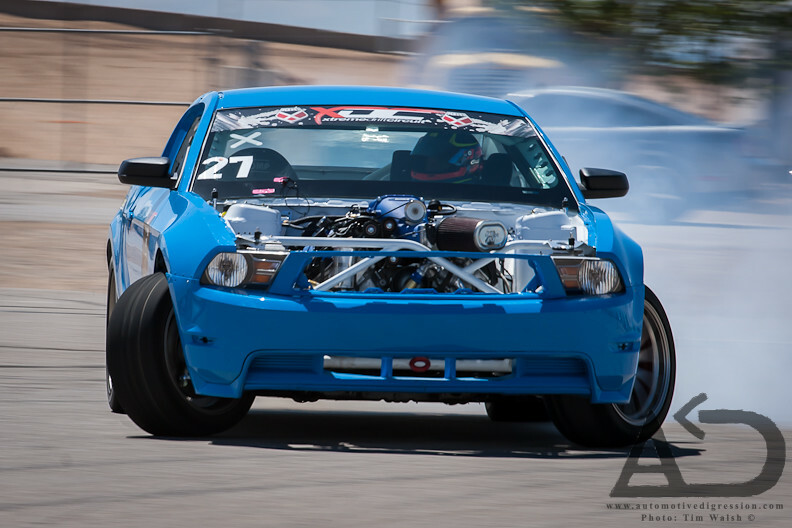 For our more frequent readers Sean Guthrie is another local that made the trip to Phoenix for XDC. Jim Guthrie, President of NAPA Speedway, was out practicing in the morning. During the event he could be seen coordinating from the helm of a brakeless BMX bike. Dan Brockett, local Pro-Am Driver, volunteers his time and experience to make these events happen. However, that doesn't mean there isn't time to play. 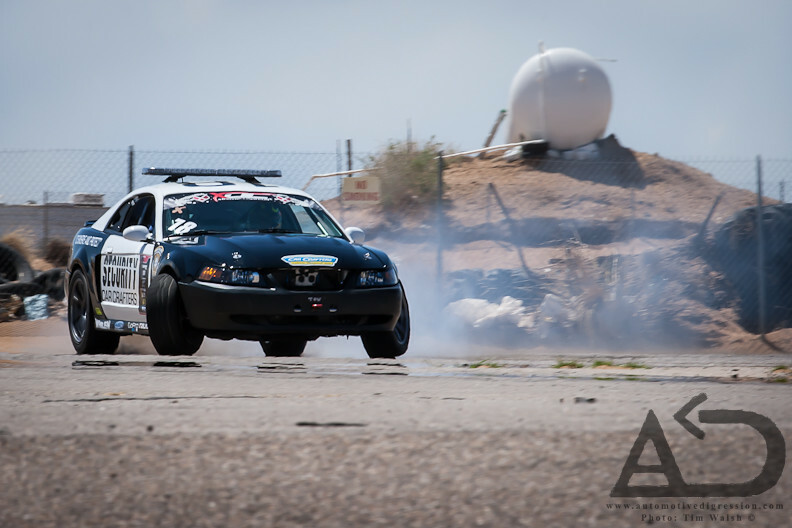 The course for round one mirrored The Balcony at Willow Springs, utilizing the skid pad rather than the track. When talking to Brockett about the course selection he expressed a desire to challenge the younger drivers by dramatically changing the courses. This did indeed prove to be a challenge for many drivers, especially the lower-powered cars. Throughout the practice session the progression could be seen with each pass as the drivers changed their style in attempt to put together a clean run. The competition itself was good, clean fun. No serious damage was done to any of the cars, only a few egos. Darren worked his way into 3rd place. 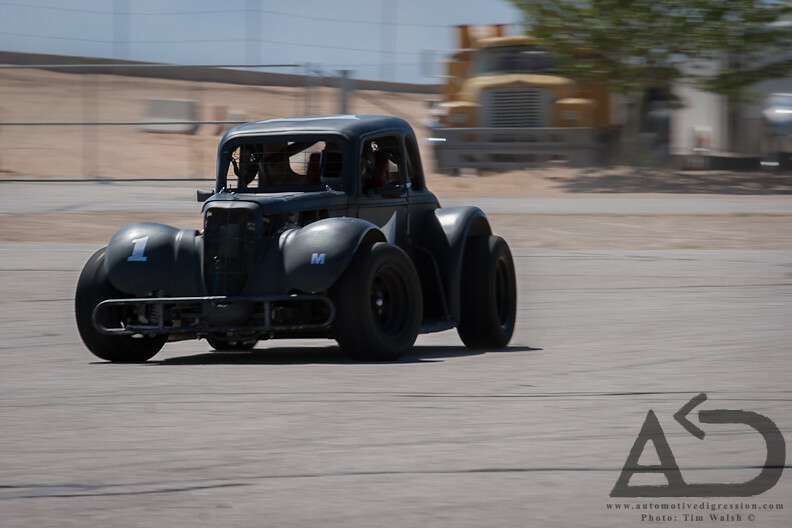 Gerard Jacinto and Jeff Osborne battled it out for first in the best tandems of the day. Osborne (left mohawk) slapped a good many hands over his victory. As an added bonus AD will be giving each round's winner a few free full size digital pictures of themselves at the respective event to commemorate their victory. 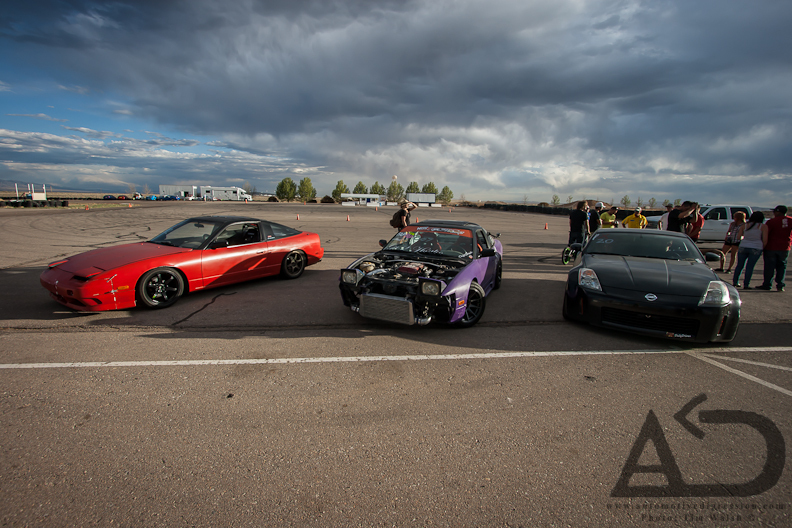 Categories: "Drifting", "Ford", "Lexus", "Mustang", "Nissan", "Sandia Drift Series", "Sandia Speedway", "legends cars"